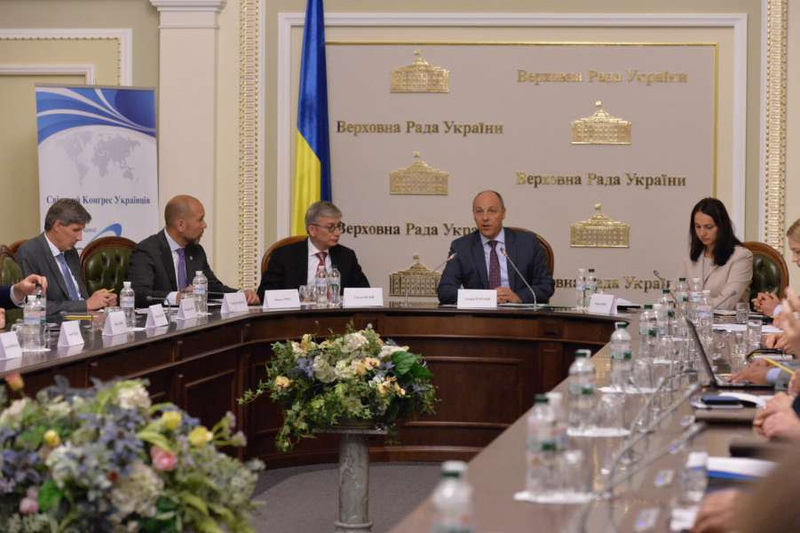 On 30 August 2017, Chairman of the Parliament of Ukraine Andriy Parubiy congratulated the delegates of the Annual General Meeting of the Ukrainian World Congress (UWC) on the occasion of the 50th anniversary of the UWC during a joint meeting with members of the Committee on Foreign Affairs and Committee on European Integration held in the Parliament of Ukraine in Kyiv to strengthen cooperation in supporting and strengthening the Ukrainian state. The Chairman of the Parliament of Ukraine noted the important role of the UWC in uniting the over 20‑million strong Ukrainian diaspora and expressed gratitude for the assistance in defending the sovereignty and territorial integrity of Ukraine, and for remaining united with Ukraine. 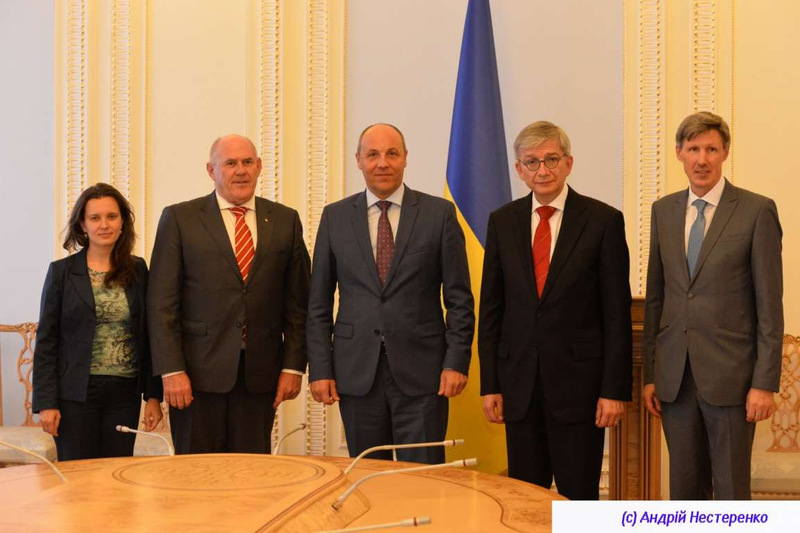 In particular, he noted the role of the UWC in supporting Ukraine during the process of ratification of the EU-Ukraine Association Agreement and in obtaining a visa-free regime for Schengen area states. In turn, UWC President Eugene Czolij focused on current UWC priorities, which are primarily related to supporting Ukraine in order to overcome Russian aggression, promoting reforms and furthering Ukraine’s membership in the EU and NATO. Leading this session was Chair of the Foreign Affairs Committee Hanna Hopko. “The Ukrainian diaspora headed by the Ukrainian World Congress will continue its active support of Ukraine in these challenging times,” said UWC President Eugene Czolij. More information on this topic can be found on the website of the Parliament of Ukraine HERE and HERE.